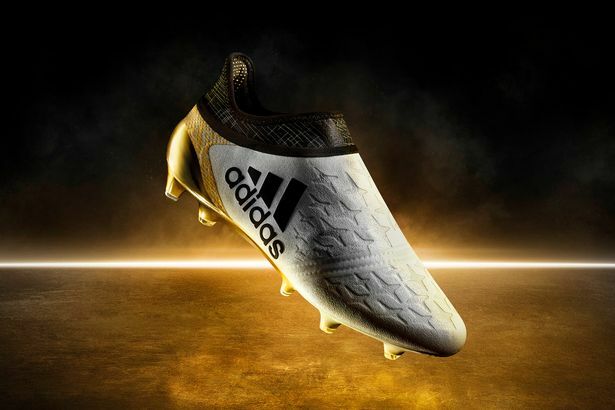 The sportswear giants claim to have created the world's first high-performance slip-on boot that will debut in next week's Champions League fixtures. As if the life of the professional footballer couldn't get any more luxurious, adidas have created "the world's first high-performance laceless boot". 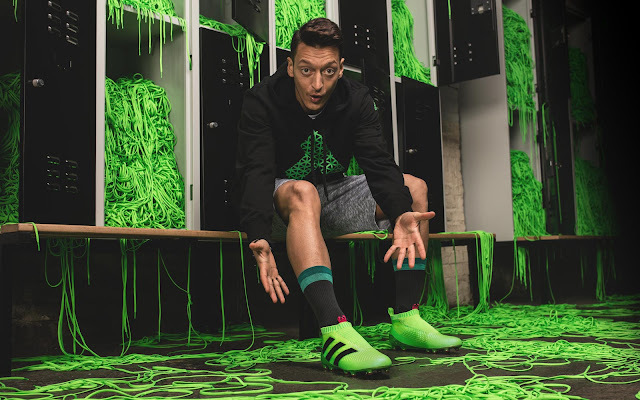 Paul Pogba and Mesut Ozil are among the lucky superstars who will no longer have to waste valuable seconds tying knots when they could be banging in goals. 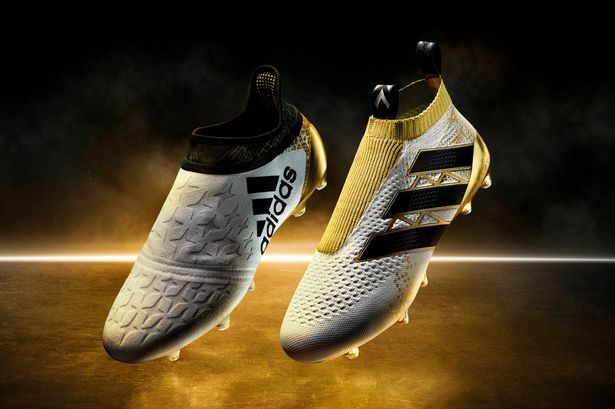 Adidas's new boot the Ace Purecontrol also boasts an "uninterupted striking surface" due to its golden "Purecut" system, which resembles a luxurious ribbed business sock. The fancy footwear pairs gold and black with a silvery-white base colour, "inspired by the light side of the moon." This shoe boasts "non stop grip" and a gold "Sprint Frame" which offers stability during high-speed movements - it resembles as sleek grey starry sock. The boots will debut in the Champions League next week with Ozil slipping into his pair of Aces against FC Basel.